Found this on Vintage Boats and set about building it light and cheap. 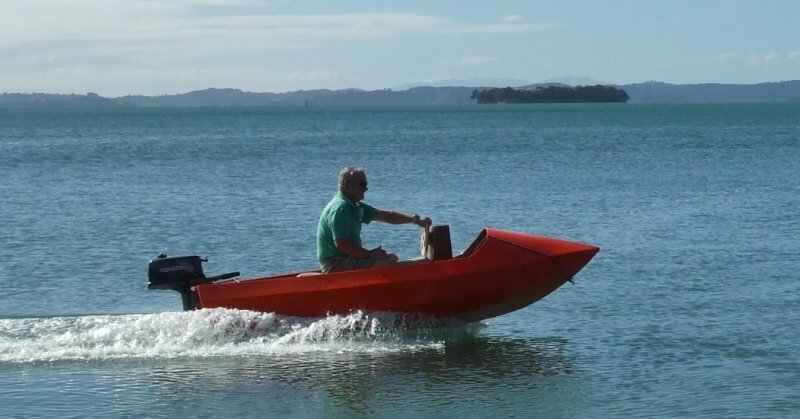 Total build boat about $300 nz ply and glass cloth with polyester. Ply was not treated and with a heavy scoring got a good bond. Could not believe how well it goes with me at 84 kg with a 5 hp OB. Used my own design steering (cord ) and home made wheel. Now for the next project, may be a John Welsford Joansa 16 but scaled down to 12'.